Each set has one PE fret with variable numbers of parts. The cockpit sets have a transparency for their PE instrument panels. The chocks are made of resin. *For more on-line Brengun suppliers click here. Good scale finesse and good quality. All of these well-produced sets will enhance their intended kits. Their lack of colour call-outs is easy to overcome. Recommended. Each set comes in a cellophane bag stapled to a card header, and all include instructions. The cockpit sets have a transparency for their PE instrument panels. The instructions are easy to follow, and the PE frets and resin parts are of good quality. The lack of colour call outs for the cockpits is a minor inconvenience, but is easy to overcome. 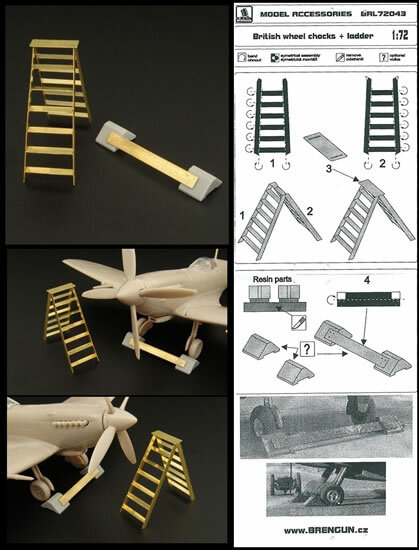 This set improves the kit’s cockpit, undercarriage and provides for lowered flaps. 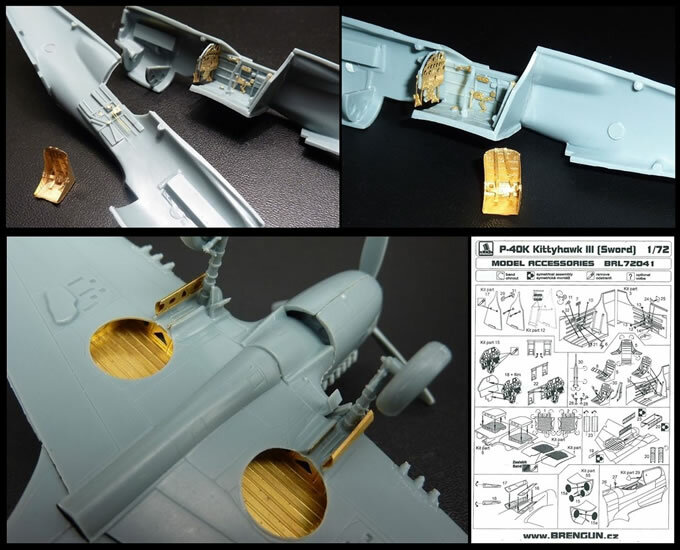 This set improves the kit’s cockpit, has a particularly nice seat; and enhances the main wheel bays and undercarriage. 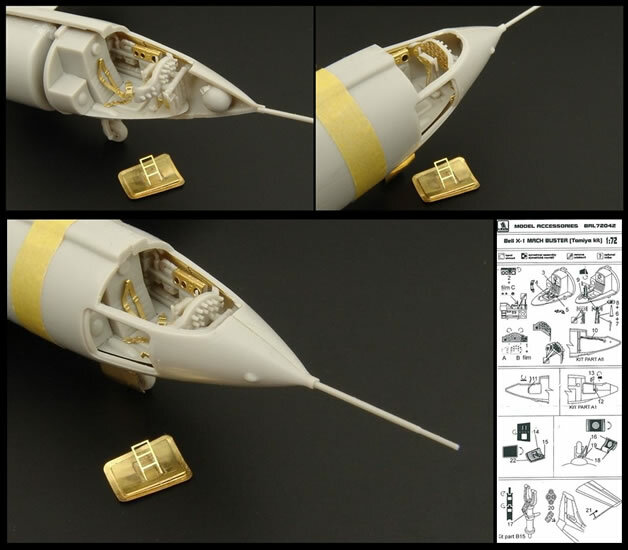 Provides a modest amount of detail for a tiny cockpit, with a nicely done removable door to show off what is visible. Simple resin chocks with a very characteristic British WW2 stepladder to add interest to a vignette or diorama. This set improves the kit’s cockpit with a lot of detail, and replaces the undercarriage doors too. 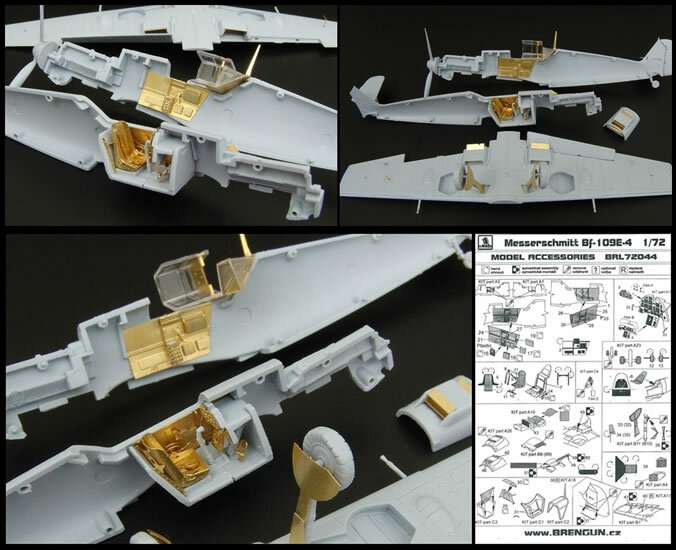 This set improves the kit’s cockpit, it has a nicely done seat, and some well detailed undercarriage doors. 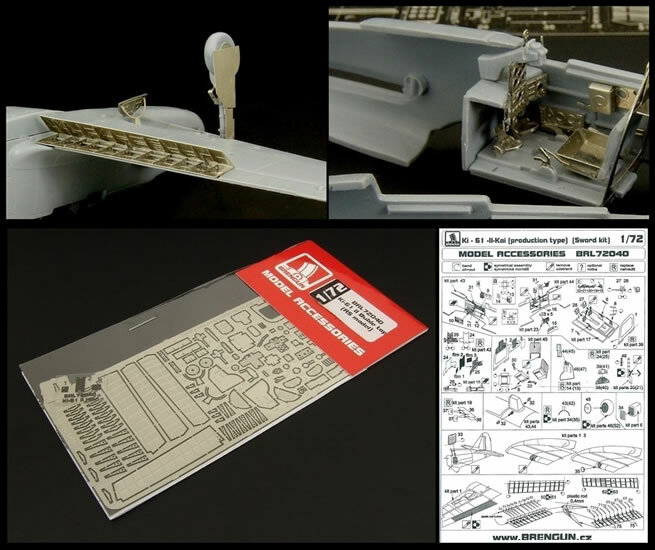 These are all good detail and accessory sets that will enhance their intended kits. Their lack of colour call-outs is easy to overcome. I am pleased to report that there are no superfluous parts with these sets. I am happy to recommend all of the sets reviewed here.